I was lucky enough to attend an early screening of this week’s upcoming Man of Steel. Directed by Zack Snyder and masterminded by Chris Nolan and David Goyer, this new Superman is big, brawny and thankfully brainy. However, it is also loud, garish and derivative. Steel is an origin story, which for a character like Superman just isn’t necessary anymore. They attempt to circumvent the origin story trope by skipping around in time and doing a lot of flashback work. While this does keep the film from feeling too stale, it also is very disorienting for the viewer. Also, the stretches with Clark wandering the Earth and finding his way seemed as meandering as his journey. That said, there is some wonderful character work with Henry Cavill and Kevin Costner. With the exception of one pivotal moment with Pa Kent, the emotion in these scenes is real, and earned. Costner is not in the film that much, but he carries so much weight in these scenes that we truly feel the importance of his character in the shaping of Clark. The most original and interesting concept in this new-ish version of Superman is that Pa Kent is very vocal in his distrust of humans accepting Clark, even at the expense of saving others. This helps build a nice conflict between Clark and Kal El, and this duality is played with nicely throughout the film. Where the film both starts to succeed and then falter is in the action packed second half. In fact, it’s the action set pieces that both amaze and pummel the viewer. The opening moments of the film show us a very Star Warsian Krypton, complete with animals, plant life, and space ships. The destruction of Krypton feels a little rushed. It seems like Kal El is born, Jor El tells the council Krypton is dying, and Zod stages a coup all within about 3 hours. It’s a compelling and tense sequence, but I would have liked to have seen a little more time pass. Considering how much Jor El is in the movie as a whole, I think I’d have preferred more time on Krypton and less time on the repetitive assault of the sense that is the battle in Metropolis. There is a fight that takes place at the start of the last third of the movie that is absolute perfection, one that is on a small scale, in a small town. While this battle seems epic (it could have easily been the end of the flick) we actually go on to have essentially THREE more climactic battles in a series of finales that rivals Return of the King for “Oh, it’s over…oops, wait, nope, there’s another scene” fights. It was during these battles that I got the clear sense of how much this movie wanted to be The Avengers…and Watchmen…and Batman Begins…and The Matrix Revolutions…and Transformers (specifically the third installment). Much like Avatar, this movie is a Frankenstein’s monster of things that worked in other movies. And that’s why it’s hard to give this movie a bad review, because when you’re aping great flicks, you’re bound to ape some really great things. The smart character work with extraordinary people resonates like the wonderful thought provoking material of Watchmen’s Dr. Manhattan. The small moments of Kal El learning to control his powers work as well as Bruce Wayne’s learning to fight with the League of Shadows. The first battles between Superman and the super-powered Kryptonians are as thrilling as the fights between Agent Smith and Neo in The Matrix. But to quote Dr. Ian Malcolm in Jurrasic Park, the filmmakers were so preoccupied with whether or not they could that they didn’t stop to think if they should. That is where the movie truly started to not work for me. In fact, it became a chore to keep watching. The fights, the destruction of the city, it was just too much. It felt like my 8 year old self playing with action figures and just piling on “what if” scenarios. “So Superman and Zod are fighting, and they fly through a building…and then they fight in that building…and then Zod uses his heat vision rays and burns a hole in the building, and then Superman flies through the hole, and then Superman kicks Zod into space, and Superman and Zod hit a satellite, and then they fight on the Satellite, and then they fall off the Satellite, and they fly through a mountain, and they hit each other with pieces of a building, and and and and and”. Literally, all of those things happen in the movie, all but one of them during one of the final battles. I guess I just don’t find mass city CGI destruction very entertaining for a long period of time. The same as I felt worn down by the end of the new Evil Dead movie. Gore for 30 minutes, just to have crazy gore and think up new ways to cut up people, is fine. I just feel like I want more, even from a summer tent pole comic book movie. I got more with Iron Man III. 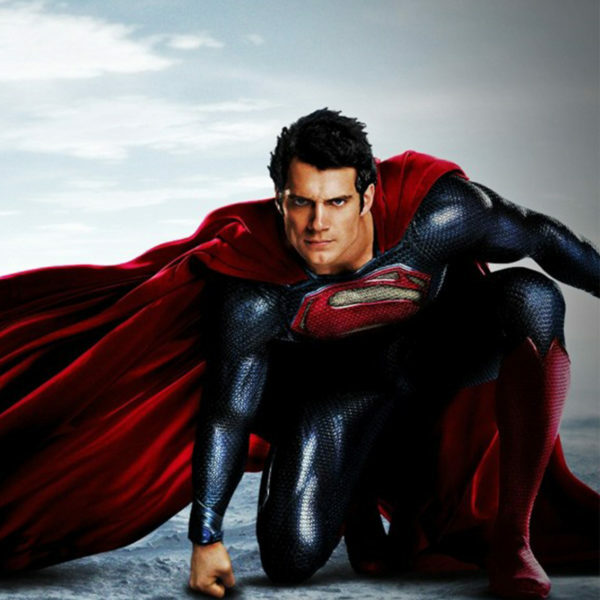 Sure, there are a lot of action scenes, and it gets super-sized at the end, but nowhere near as much as Man of Steel. I have no doubt that people will love this Superman. And there are moments that I truly did love. Unfortunately, there was just too much of everything. It was like an all you can eat buffet. There are a few really great dishes to be had, but ultimately you’re going to try to eat a little of everything, and feel super bloated by the end. Like Patton Oswalt’s Black Angus routine I hope you like dessert, because you’re going to eat three of them, whether you want to or not. Hmm . . . the word "wonderful" in the same sentence with "Kevin Costner" . . . ok – you know how I feel about Costner. Eager to see this film anyway and your review tweaked my interest even more. Good job.